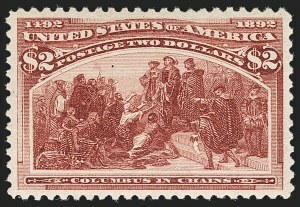 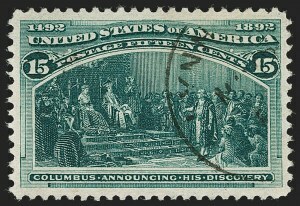 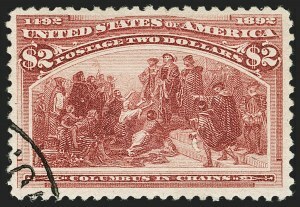 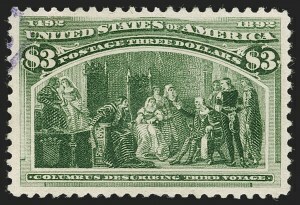 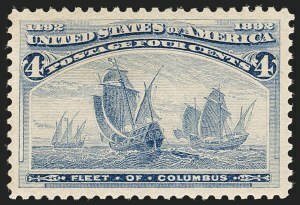 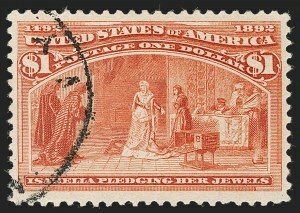 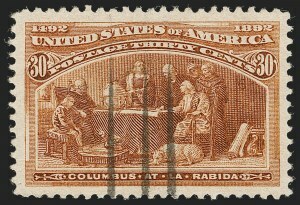 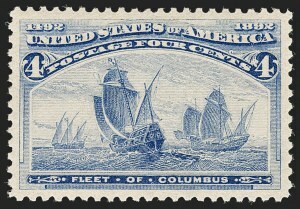 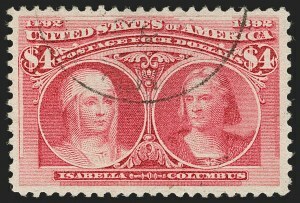 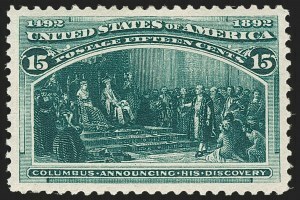 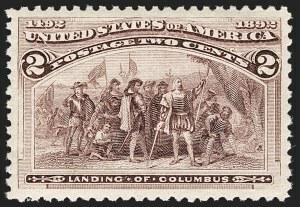 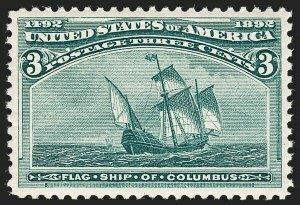 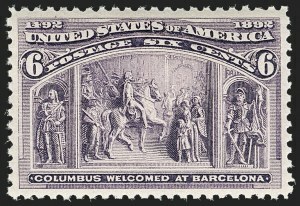 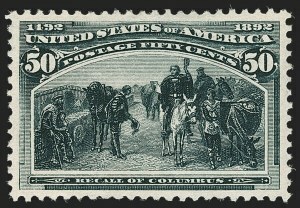 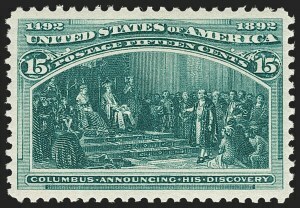 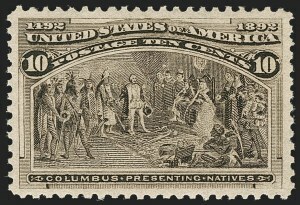 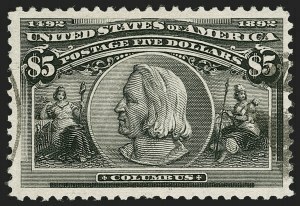 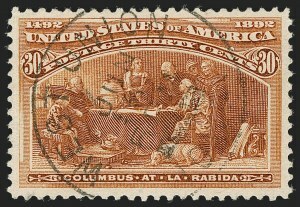 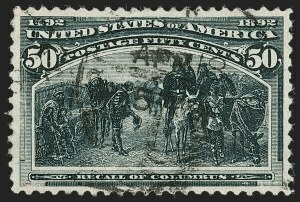 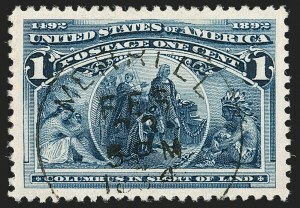 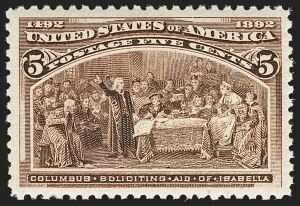 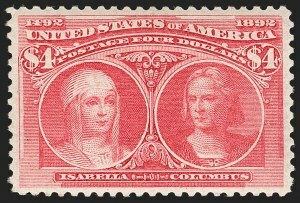 $2.00 Columbian (242). 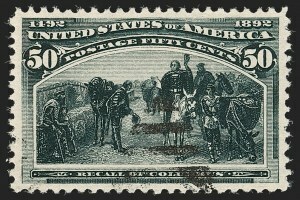 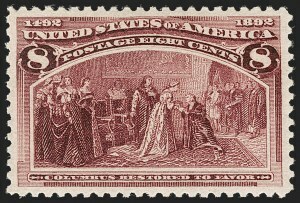 Original gum, lightly hinged, deep shade and proof-like impression, wide and balanced margins, Extremely Fine Gem, with 1988 and 2013 P.F. 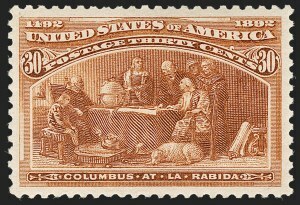 certificates (XF 90 XQ), the "XQ" denotes "extraordinary quality"
With 2019 P.S.E. 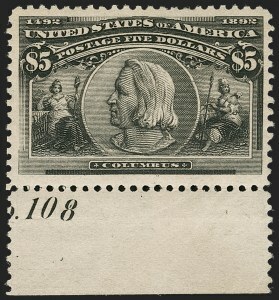 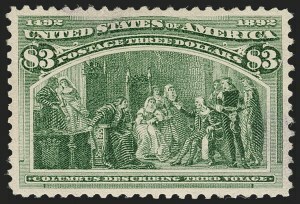 certificate (OGph, XF-Superb 95; SMQ $6,500.00). 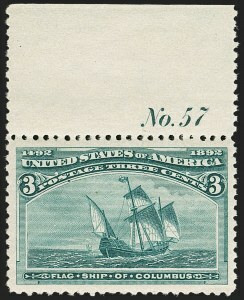 This is the highest grade awarded in any category in the P.S.E. 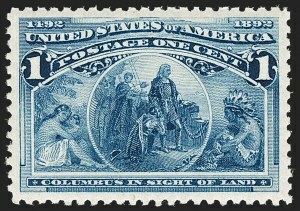 Population Report. 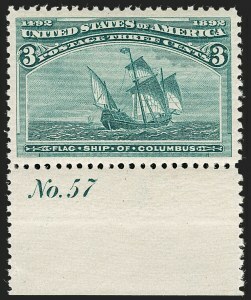 Only two other hinged stamps share this grade.